… but this little factoid still surprises. 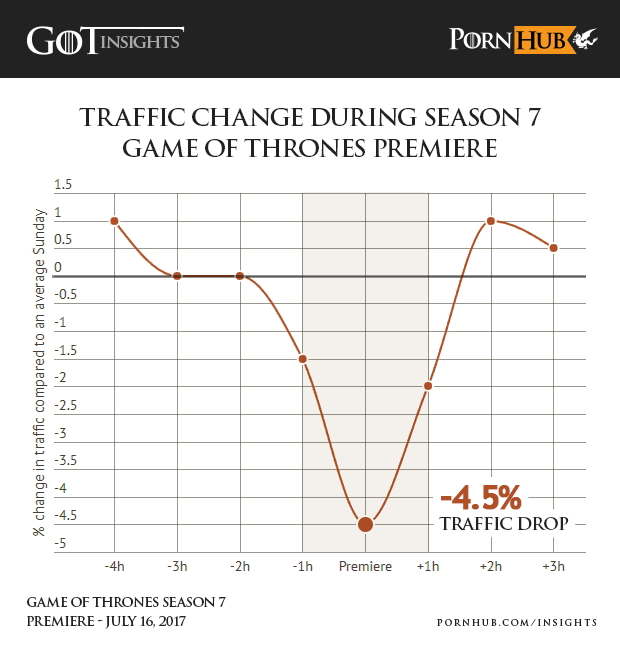 According to Pornhub’s (yes, you read that right) own team of statisticians (yes, that’s right, too) at Insight, Pornhub suffered a noticeable traffic drop this past Sunday evening, apparently because of Game of Thrones‘ 7th Season premiere. 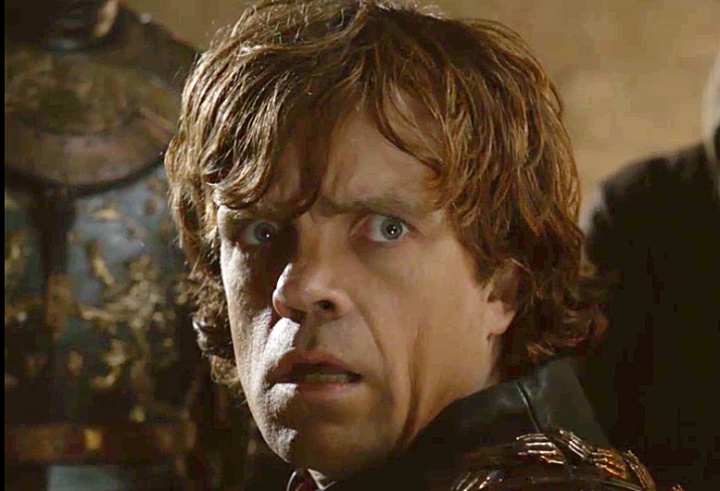 that Game of Thrones fans are so into the show, they’ll give up wanking for a whole hour. There’s even a chart (and comparative statistics for Season 6)! I’m not sure what to do other than congratulate this magical series on standing between us and our masturbatory needs (which may or may not affect Maslow’s chart). And now, back to your regularly scheduled wankery.